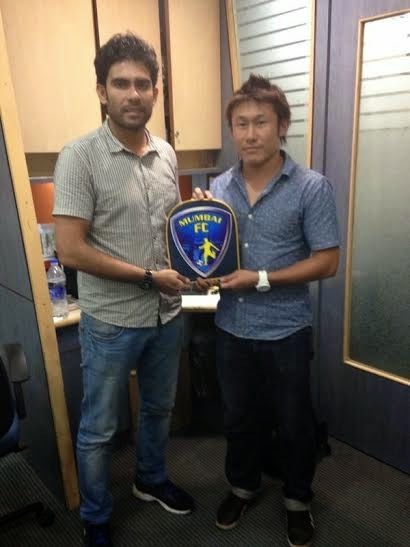 Mumbai FC have signed former Shillong Lajong FC attacking midfielder Taisuke Matsugae for the 2014-15 season. Taisuke who also has experience playing in 2nd Division of J-League previously in Japan is expected to add more firepower to Khalid Jamil's armory with his eye for goal. Taisuke is the first foreigner signed by Mumbai FC and also fits in the club's Asian quota. Taisuke played 31 matches for Shillong Lajong FC, scoring 4 goals in the process. In Japan the midfielder played 96 league games over a span of 6 years from 2007-2013, netting 19 goals, having represented Japanses Football league side Blaublitz Akita. After signing for Mumbai FC, Taisuke was quoted saying, "I am happy to be at this club. I enjoyed my time playing in the I-League last season and wanted to continue playing in this league. I will give my best at this club. I hope to join my teammates for our pre-season soon." “Taisuke will bring a lot of creativity to the Mumbai FC attack. He has the ability to unlock any defense and he also has a very good eye for goal. Taisuke will fit into my game plans very well. A player who can play both as a midfielder and as a false 9 (forward) is always a valuable asset,” Khalid Jamil, Mumbai FC coach was quoted saying. In 2007 Taisuke joined who played in the Japan Football League. He stayed at the club from 2007 to 2013 in which he played in 96 league matches and scored 19 goals in his time at the club. At Shillong Lajong he played 31 matches scoring 4 goals for them in the process.